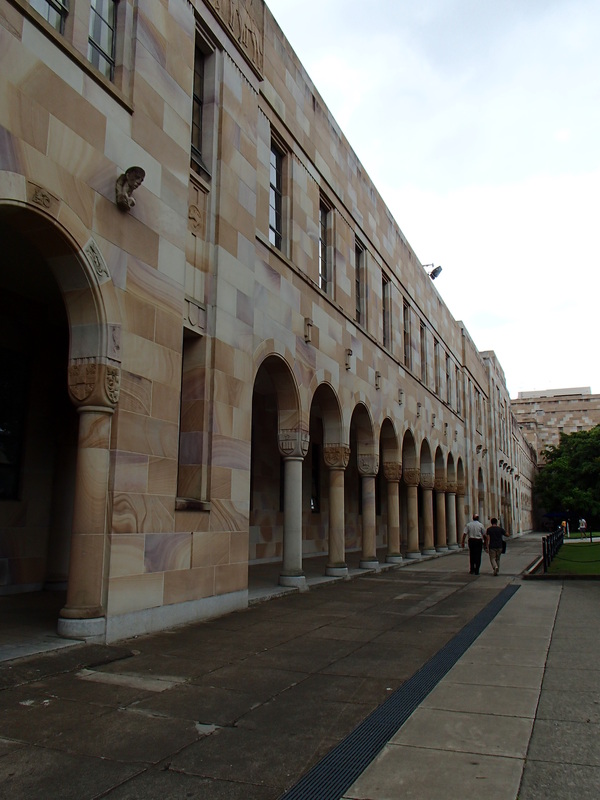 I went to visit the University of Queensland (UQ) for the first time yesterday! Shaughn, a fellow Rotarian used to work at UQ for over 25 years and offered to show me around campus and introduce me to some important people in my program. The most beautiful part of campus were the original sandstone buildings. They have a hint of purple and look magnificent. I’ll try to take more up close photos while at uni. Then, I went to a compulsory “Getting Started” session, got my student ID Card, and had lunch on campus with Shaughn. While waiting on Shaughn, I befriended an Italian girl named Georgia who was in desperate search of housing with three other friends. Then, I opened a bank account with Commonwealth Bank which is the largest bank here in Australia. They were very kind and had snake gummies in honor of the upcoming Chinese/Vietnamese New Year! 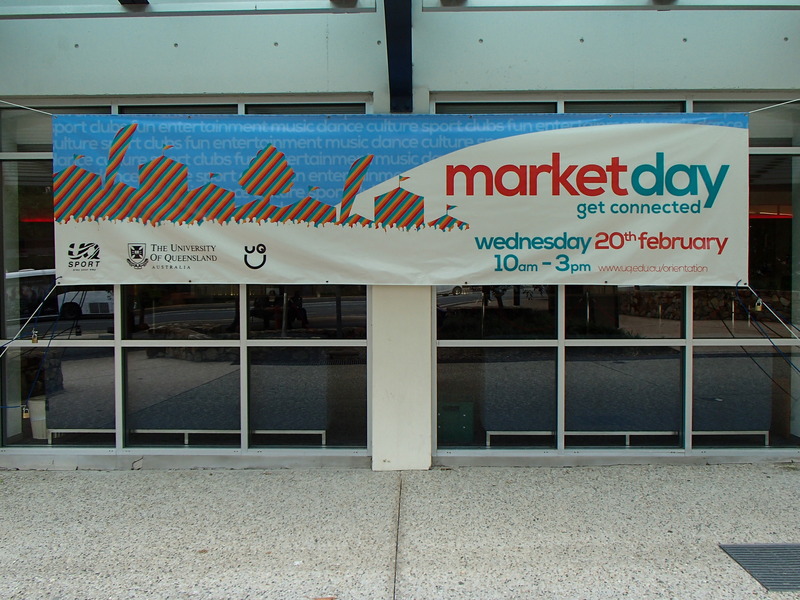 On Wednesday, February 20th- the campus will be turned into a large market and I can’t wait to learn about all the clubs and hopefully join one or two. Shaughn was so kind to help me navigate the mobile plan process and I am in search of a smart phone. If anyone knows of an extra iPhone laying around, let me know!!!! After sorting that, we had afternoon tea. 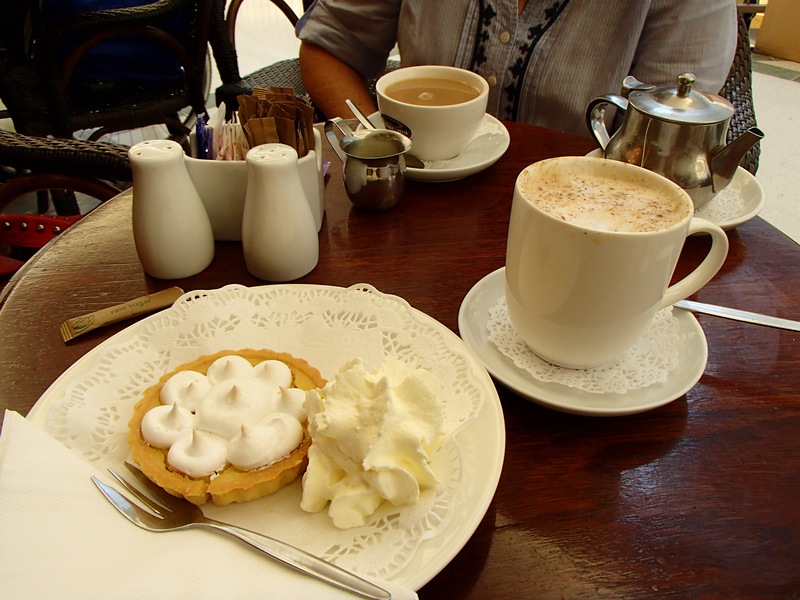 Australians LOVE tea time- morning tea, afternoon tea, or evening tea! Anyone who knows me knows how I love afternoon tea. They don’t ever seem in a rush like we can be in America. It’s so nice to have a wonderful conversation over a cuppa (cup of time). After a super productive day, Shaughn returned me to Alan and we had rissoles for dinner which are like giant meat balls with mashed potatoes and steamed broccoli, peas, carrots, and corn. 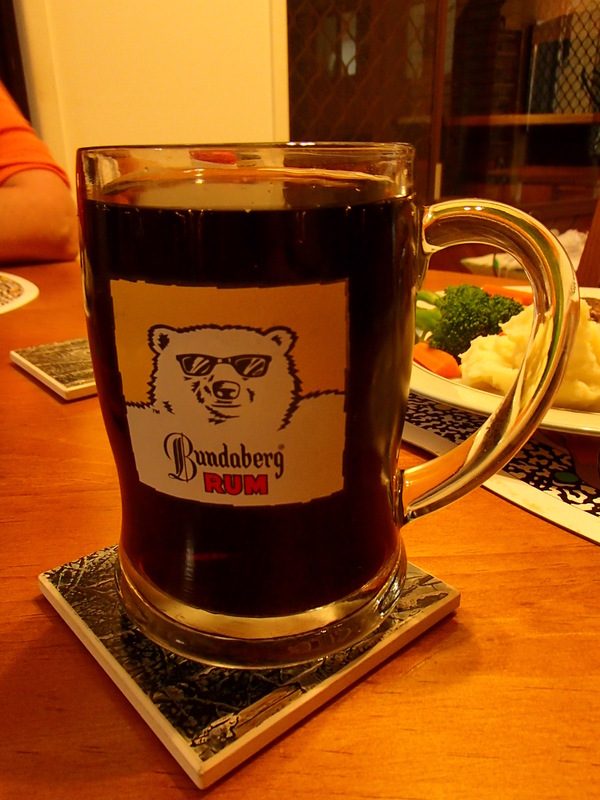 They also offered delish Australian rum- Bundaberg rum. It was quite tasty! We ended the evening eating ice cream and watching Red Dog which is based on a legendary true story here in Western Australian. It’s a really heartfelt film about Red Dog who united a mining local community while roaming the Australian outback in search of his long lost master. Definitely recommend for you all to watch it too. Tomorrow I am off to the beach with Sandy and can’t wait!!! Wow..beautiful campus! Are you getting excited for school to start? I am glad you got so many things accomplish!!! Take care! I’m really excited about school starting and will feel a lot better once I have my schedule set. Love you too.